DONE! We reached our goal of $5,000.00. Thank you to everyone who donated to our kick starter. 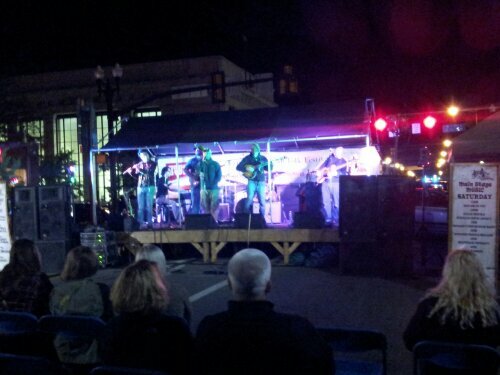 Organizers of the second annual Northern Appalachian Folk Festival are part of the way toward their fundraising goal of $20,000. Sean Howard, director of Downtown Indiana, said individuals may donate to the cause through the fundraising website Kickstarter. For those who are not familiar with it, folk festival organizers have scheduled a Kickstarter awareness and fundraising event June 12 from 6 to 8 p.m. at Spaghetti Benders in Indiana. Tips for the guest bartenders — Elroy Face, a former pitcher for the Pittsburgh Pirates; borough councilman Gerald Smith; and Howard — go to the Kickstarter campaign, which aims to raise $5,000. The event will include the first official announcement of live music, workshops, artisans and vendors. • 1st Official Announcement of Live Music, Workshops, Artisans, Vendors, and Educators. The Northern Appalachian Folk Festival is dedicated to preserving the past, promoting the present and securing the future of folk music, art folkways and other forms of cultural expression of those living in the northern tier of the Appalachian region. The Folk Fest features the work of artists, craftspeople, musical performers, food vendors and includes films, workshops, and theater performances at numerous venues throughout the downtown area of Indiana, Pennsylvania. The Festival is presented by The Center for Northern Appalachian Studies at Indiana University of Pennsylvania (IUP) in partnership with other local groups and businesses. The second annual Northern Appalachian Folk Festival presents an entertaining, educational and community-driven event that contributes to the enrichment of the cultural and ecological environments of Northern Appalachia. This year’s festival will have another great lineup of musical performers from the region, a series of engaging workshops, and street full of talented artists and artisans! Not to mention there’s a fantastic area dedicated to children’s activities! It takes a lot of things to throw a successful cultural event. Staging, lighting, Sound, seating, security, port-a-pottys, and then you need musicians, fun, family-friendly activities, promotional materials, and lots MORE. Most of all we need contributing support. We’ve set our online contribution campaign known as Kickstarter goal to $5,000 to help pay for all of these integral pieces of the Folk Fest. Your donation today will help make Indiana, Pennsylvania an even more culturally vibrant place! Please come and contribute toward this important positive university and community event to occurs for a second year. The festival will be featuring a Thursday night local theater and musician event at the Indiana Theater. 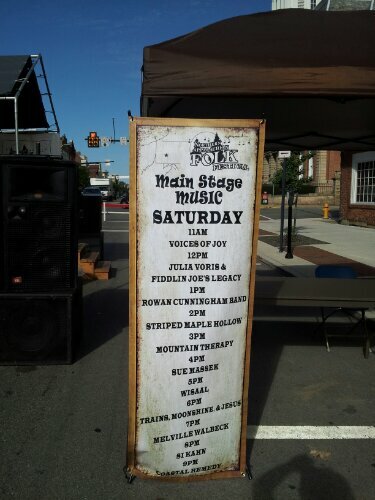 Support Kickstarter Campaign for the Folk Fest! This is when we all pitch in to make it happen. 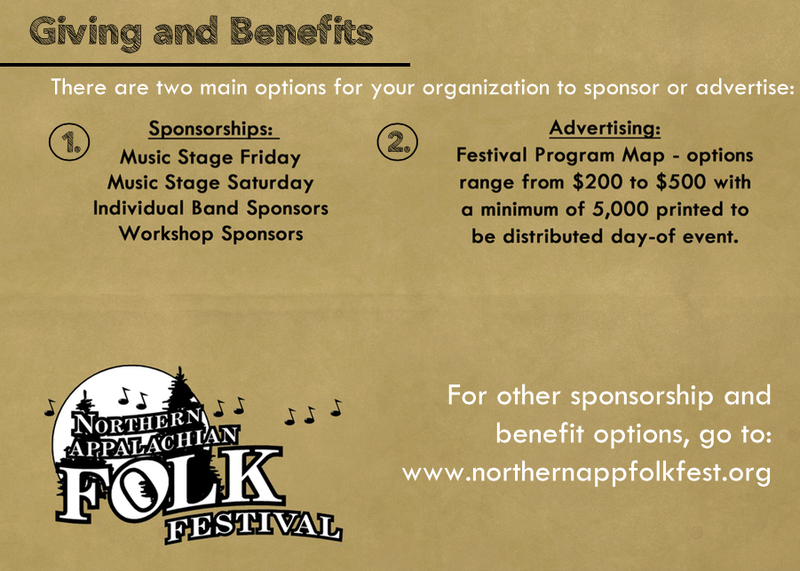 Give today to help create another wonderful weekend of Northern Appalachian Folk Fest for September 2014. Artists Invited! 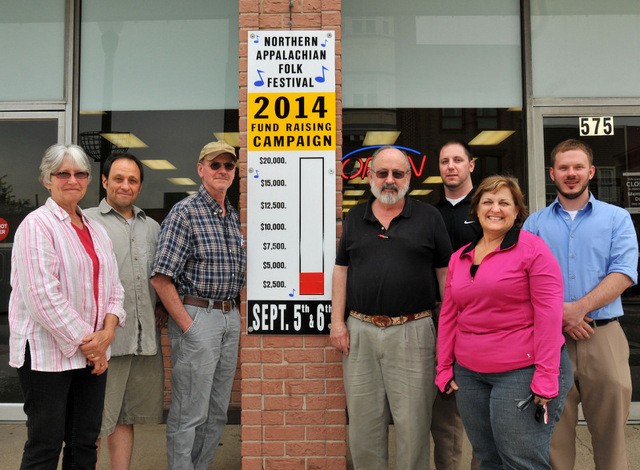 Apply for Art Vending Booths or to lead Folkways Workshops at the Northern Appalachian Folk Festival in Indiana, PA, September 5 & 6, 2014. Applications now available. 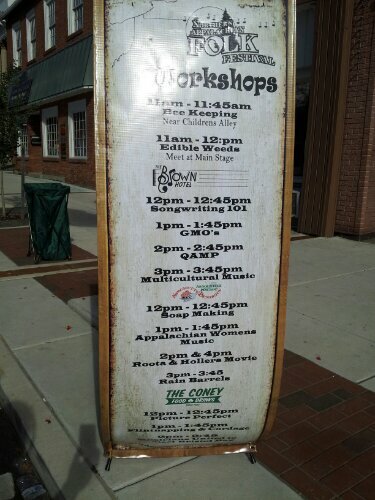 Folk Fest 2013, with music and workshop and foods! Jazzam just took the stage-Wow!